Above is just a small handful of massive lists of apparel we offer. Our store is not limited to industrial wear and uniforms. We also offer business casual work wear, trendy fashion shirts, jackets, accessories, pants, and T-shirts of spectrum of colors which you can get custom logos or artwork screen printed. You can also shop by brand under our huge list of popular brands that we proudly carry. Still not convinced? 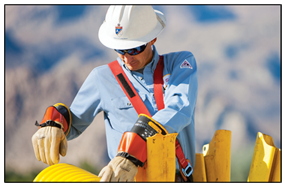 Visit our online store or call us today, or request a free catalog! 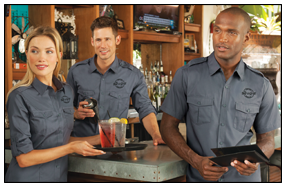 If you're looking to outfit your employees or maybe put together uniform for your restaurant, or even a road crew, we have the perfect apparel for you! 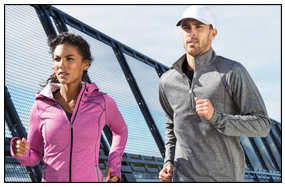 We carry the best names in professional apparel. 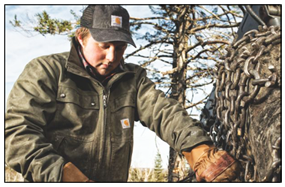 We carry everything from safety wear, medical wear, industrial work wear, corporate apparel, active wear, Carhartt brands, accessories, and much more! Be sure to check out our Best Sellers page as well. Our owners have been working hard to put together the best and most complete online shopping experience. Visit us today to see what we offer. If you do not see what you are looking for, please email us or call 1-855-458-5901 and we will be happy to try and locate specific products. Your Medical & Industrial Uniform Headquarters! Great Lakes Uniform staff have been servicing the needs of individuals and businesses for over 35 years, not just selling uniforms and apparel but building relationships. Call us today or visit our website! We are proud to offer highest quality products and apparels from the best in the industry. and will service your needs. Check out our list of all the brands! 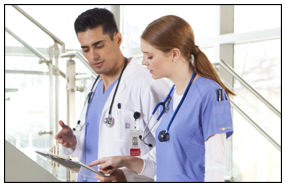 We can add your offices logo or staff names to lab coats, polos, and much more. Call us to see how we can help give you that professional touch! Check out our samples and thread colors! and more to T-shirts and sweatshirts! assit you customize your apparel!